The light weight aluminum frame and padded, adjustable straps makes it easy to carry. 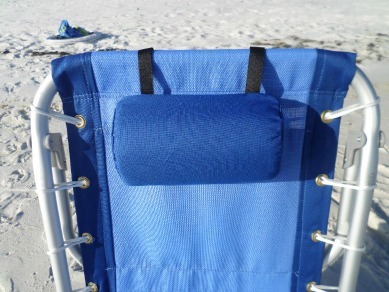 Backpack beach chairs are worn just like a backpack which makes transporting your chair easy. 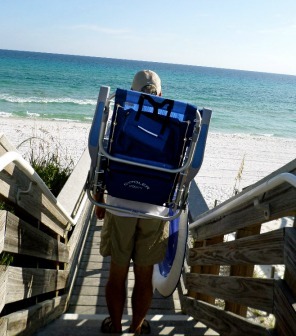 When you are carrying a cooler full of food and drinks, and a bunch of beach toys, carrying a chair under your arm can be quite difficult. The straps make it easy for you to take your chair anywhere. Just strap it your back and your hands and arms are left free to carry everything else you need to take with you. An insulated cooler means one less thing to carry. Just put your drinks or food that need to stay cold in the handy cooler on the back of the chair. The cooler works fine - it's lined and keeps things cool for a couple of hours. We added a bag of ice in a ziplock bag. Enough space for a couple of cans, fruit, and a sandwich. The headrest is connected to the chair with velcro straps - simply lift the straps off and adjust the headrest to a comfortable position. The pillow is removable or can simply be flipped over to the back of the chair. 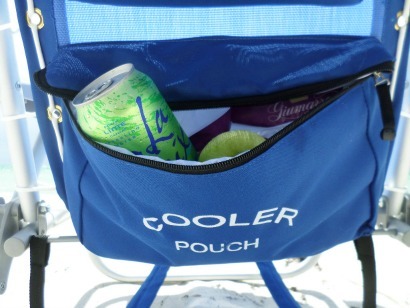 Above the cooler is a nice size zippered pouch that holds a beach towel or cover up. Velcro secures the cell phone or iPod in this handy pouch. 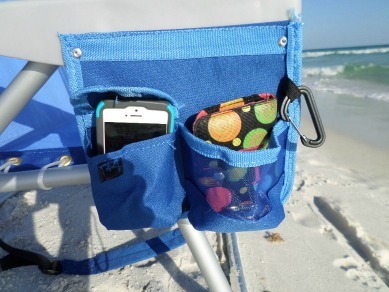 The pocket keeps your cell phone away from the sand and an extra pocket is there for a wallet, camera or keys. A cup holder on the other side is a fabric pocket to hold a can or water bottle. Lift the bar up until it locks into position. 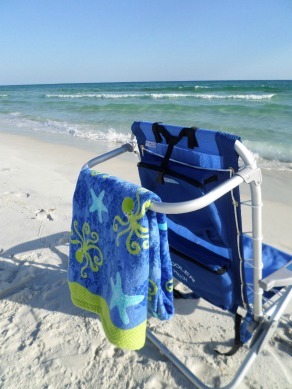 Hang your towel on the rack to keep it off the sand or to help it dry. 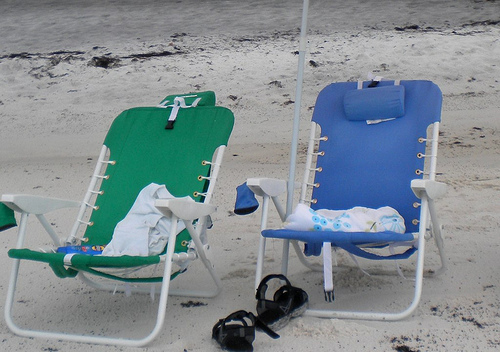 Rio beach chairs have 5 reclining positions - including one that goes completely flat. It's a great feature making it comfortable to sit up and read or watch kids or to lay back and relax for a nice little rest. Simply grip the front of the arms and lift up and move the back rest to your favorite reclining position. Press the arms down to lock the back. 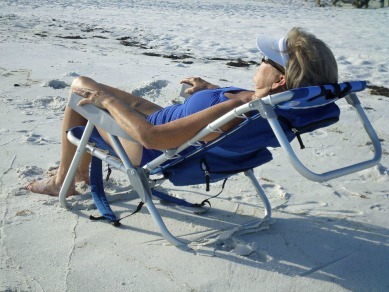 The ability to recline is a must in the perfect beach chair. The weight limit for this chair is 240 lbs. By simply adding this shade you have a beach chair with a canopy. Easy to put on or take off - it just clips on and off. Lightweight and easy to carry and it stays put in the wind. 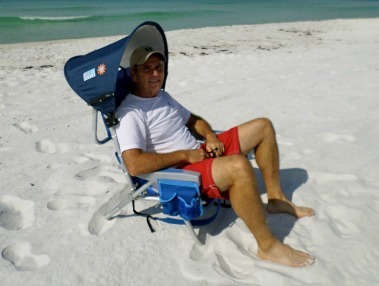 It's of course adjustable forward and backward and provides nice shade for your face. 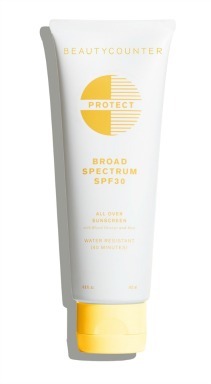 This additional beach chair accessory keeps your face protected from UV light and from a nasty sunburn at the end of the day. When you add the Rio beach umbrella, you have everything you need for a fabulous day at the beach. Just plop down your chair and get ready to relax and rejuvenate your mind and entire body. 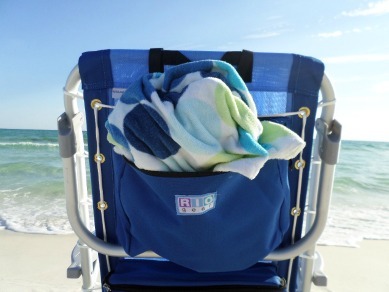 This heavy duty beach chair, the Rio Gear Big Boy Backpack, features an extra wide seat (22")and a weight capacity of 300 lbs. It sits higher off the ground - about 13" and offers the ability to adjust to 4 different positions. The extra-large, reinforced frame adds to the stability and durability. It also includes the headrest, drink holder and pouch in the back. Rio beach chairs are carefully designed, comfortable and offer many features that you will not find in other outdoor chairs. 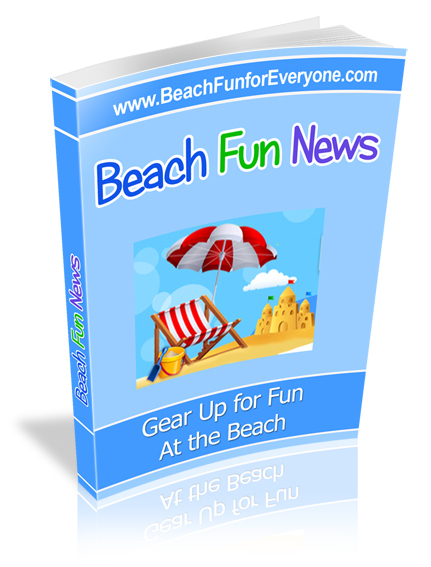 You can take them to the beach, the ball game or even to an outdoor concert. These chairs also come in a variety of great colors - my favorite is this baby blue. Style, comfort and beauty! What more could you ask for?